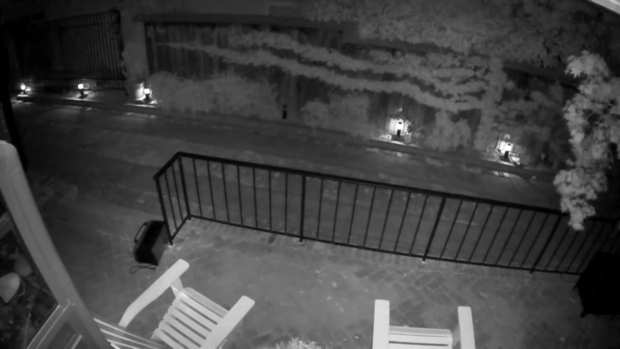 A mountain lion was caught on camera prowling the backyard of a San Mateo home on Tuesday evening, according to police. Robert Handa reports. "It must be a very good environment around here so that there’s wild animals around," said Xiaochao Yang who's security cameras captured the animal. "It’s a little bit scary though." A mountain lion was spotted crossing a street in San Mateo on Sunday night, police said. 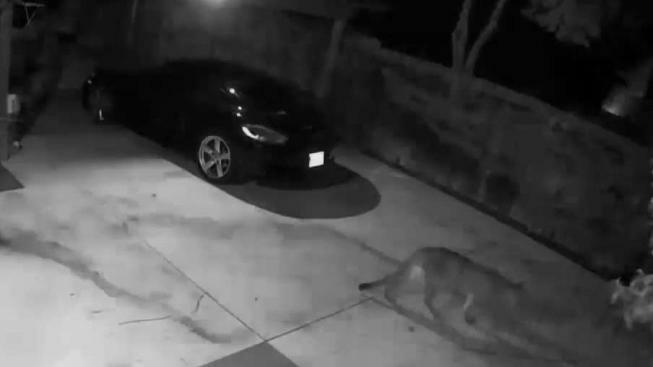 It was not a totally unexpected sighting though, a mountain lion was seen roaming the Alameda De Las Pulgas neighborhood in San Mateo about half a mile away just a few weeks ago. It was captured and released in a safe environment. "I actually noticed the news report about a mountain lion in the neighborhood so my first reaction was 'this must be one of those mountain lions,'" Yang said. The Bay Area Puma Project says Mountain lion sightings may be happening more often because urban sprawl continues to spread into their habitats. Neighbors said there have been four sightings in the same area since nearby construction started. "He must live, like everybody, you know? If it needs food, fine," said neighbor Mario Cavallo. "But if I see one I call the police of course." Residents in the area are advised to avoid feeding deer, as it will attract mountain lions. In the event of a mountain lion encounter, people should not approach the animal or run away, police said.